Sasha is an 8-year-old boy who lives in Ukraine with his mother and five more siblings. They survive in misery and squalor, in an environment made even harder due to the armed conflict with Russia. 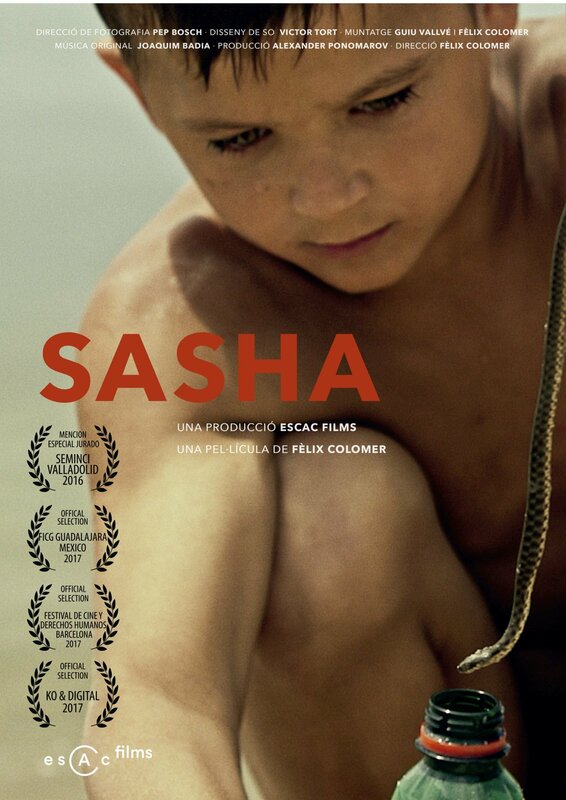 Sasha flees this situation and arrives in Catalonia to live with a local family. What he will find out, who he will meet, how he will be affected and how he will live are questions that will arise all throughout the film. The documentary is very well done and one which contradicts my predictions from the very first few scenes. We see that despite Sasha’s current living situation, he seems immune to his poverty stricken environment. It seems that this environment does not affect the serenity of Sasha and the unity of the family. We see him playing by the river with his brothers and enjoying their adventures, which include climbing trees and trying to put a living snake in a plastic bottle. In short Sasha laughs and lives life like a child of his age should. However, when he goes to live with his host family in Catalonia, we hear glimpses of his violent life at home and some of the hardships he faces. We see how his life in Ukraine and his life in Catalonia contradict each other: in Catalonia Sasha can probably have a good life and future, in Ukraine, on the contrary, his life and future could not easy.